Former Chelsea legend Frank Lampard has spoken of his delight at returning to place where he plyed his trade for most of his career, the former midfield maestro makes an emotional return to Stamford Bridge where his team Derby County play Chelsea in the Carabao Cup on Wednesday. In 429 appearance for Chelsea, Frank Lampard was three-time Player of the Year, he is now trying his hand at football management he is looking forward to being reunited with the Chelsea. Last month Derby County saw off Jose Mourinho’s Manchester United to secure a four round tie with his former club where he became Chelsea’s leading scorer with 211 goals for the club after spending 13 years at Stamford Bridge. “Well I’m preparing. I’m working hard, that’s my job – to try to prepare us to give as good an account of ourselves as we can,” Lampard said. “The bond I have with the fans and people behind the scenes there – it’s a special draw for me to be able to go back and see people behind the scenes and see 40,000-plus friends in the stadium. 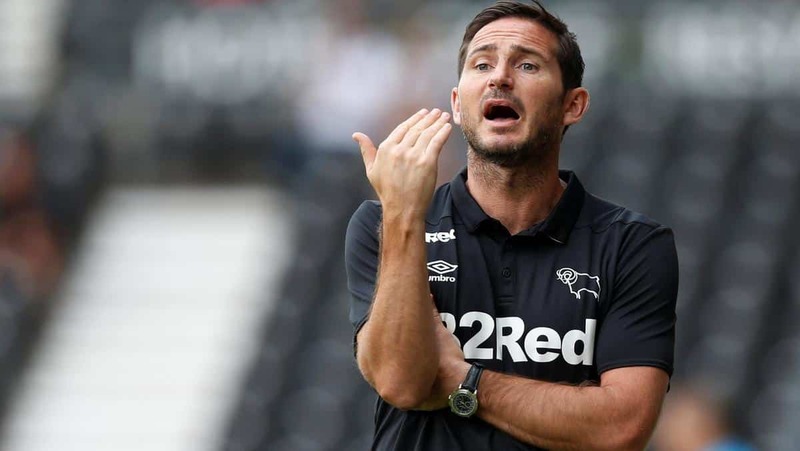 Chelsea youngsters Chelsea youngsters Mason Mount and Fikayo Tomori were snapped up by Frank Lampard only last week, both players have been cleared to play against their parent club. As a goodwill gesture, from the hierarchy at Stamford Bridge. Frank Lampard remains optimistic about Chelsea’s title chances this season and he is impressed with what new manager Sarri has gone about his business. Chelsea are currently unbeaten in the Premier League and Lampard believes his former side can go all the way. “Sarri is very impressive and I can feel it here because the staff here, everybody, the players have worked very hard from the start of pre-season to change certain things, as managers tend to do when they come in and I know the work that has to go in to try and make those changes,” Lampard said. “Yeah I do (think Chelsea can win the Premier League). I see them in a mix of teams who are very strong up there. Man City we all know, Liverpool we know are strong, Tottenham are very strong but Chelsea are certainly in with a shout.